t-shirt. 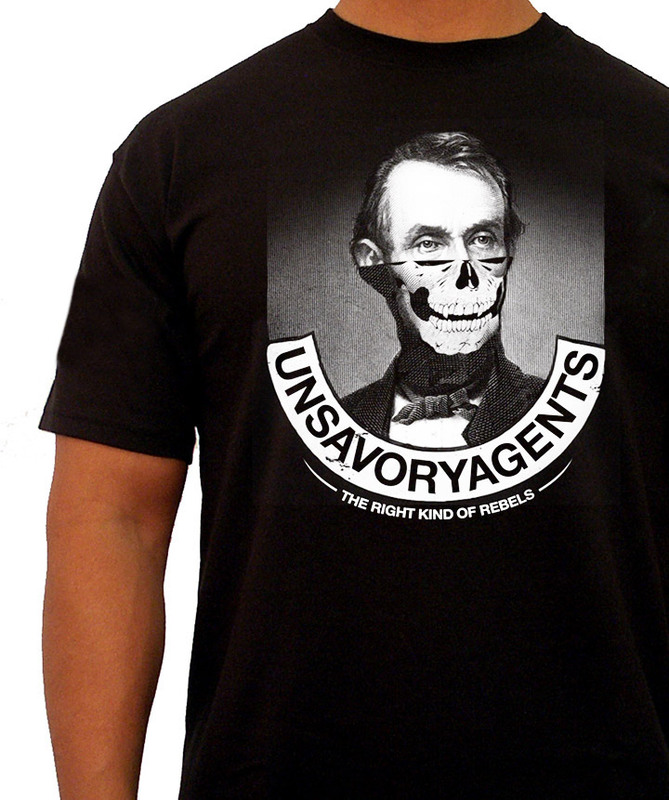 Black and white on the highest quality American Apparel t-shirt. The American flag is an actual patch. The first run had the patch upside-down to represent the country in duress but I've since reversed that in a sign of hope in our fight to take back our country in 2016. Lincoln, a Republican is shown wearing a rebel mask because much like the art I do in Los Angeles it has to be done under the cover of night. We are the resistance, they are the establishment.